&nbsp; What does Chief Compliance Officer really mean? What do you actually do? Paul and Rich sit down to talk about job titles, ruining our LinkedIn profiles, and the value of clarity. What does Grandpa do? : This week Paul Ford and Rich Ziade sit down to talk about terribly unclear LinkedIn profiles. We chat about the evolution of titles like Evangelist or Entrepreneur In Residence, and how to capture someone’s attention in three seconds. Rich complains about contracts and Paul makes a compelling defense for white chocolate. 0:38 — Rich: “There’s the ceremonial title which is ‘Co-founder’, which speaks nothing to skill or vocation.” 2:11— Paul: “Boss [as a title] is a great. You never see that on a business card.” 7:05— Paul: “The X at Y is a really good formulation if you’re trying to break through and let people know what you’re about. ‘Self-employed’ is tricky. It should be Self-employed Something at first. You know? Self-employed Writer, Self-employed Designer.” 9:47 — Rich: “I think this is a good piece of advice, generally: LinkedIn flies under people’s noses… You’re always on a list with about 200 other people… so if somebody’s giving you the three seconds, you gotta really nail your headline.” 23:55 —Rich: “ If you keep going back to Clause 6A1, you will destroy the relationship. You will destroy it. The thing exists in the first place for mutual benefit. I get money from you, you stay in my apartment, right? If I go back to Clause 6A1, because you didn’t take the garbage out and put it in the front, therefore I’m gonna ask you for an extra 50 dollars, right? Cuz it’s in the contract. You just destroyed actually something far more durable than the actual contract.” A full transcript of this episode is available. 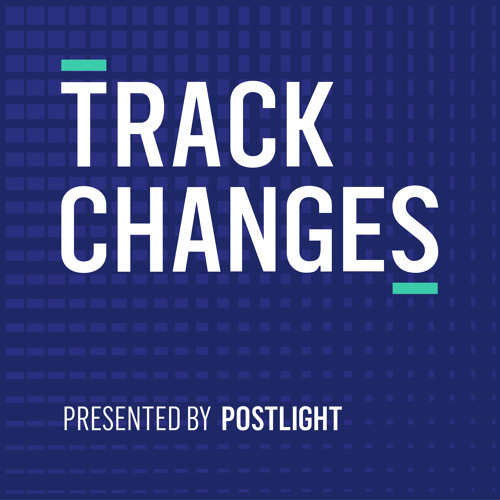 LINKS Guy Kawasaki Amedei Chocolate Video of chocolate and Steely Dan Milton Snavely Hershey Hershey School Chipotle Track Changes is the weekly technology and culture podcast from Postlight, hosted by Paul Ford and Rich Ziade. Production, show notes and transcripts by EDITAUDIO. Podcast logo and design by Will Denton of Postlight.